Now that the Robot Wars are over it is good to hear that there will be a fast and furious new tech-mech competition arriving on TV. Sky wrote to HEXUS today to announce a $1m partnership with The Drone Racing League (DRL) which means that "the thrilling world of elite drone racing," will soon be broadcast on TV in the UK. From October, DRL racing will air on the newly launched Sky Sports Mix channel. There will be ten hour-long episodes in this first series. 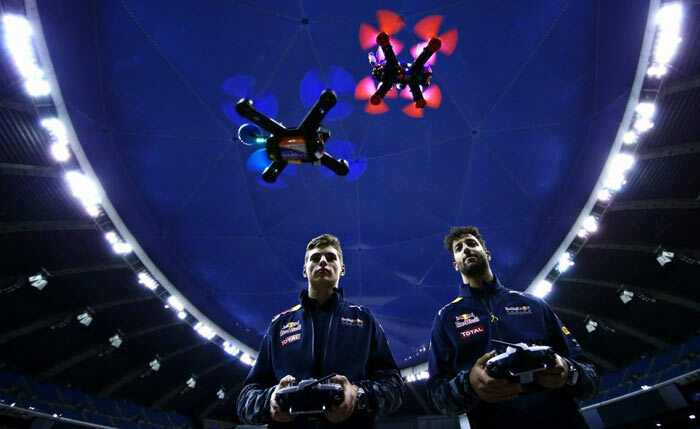 Sky says that the 2016 DRL season covers five races including a winner-take-all world championship to crown the best drone pilot. Included in the races will be the first professional drone race in the UK, in an iconic venue in London. The DRL hosts First Person View (FPV) drone racing. Pilots fly their custom designed, hand-built drones though complex thematic, three-dimensional racecourses "that have been compared to a real life video game". The action is fast and the drones come into close contact with each other, plus other hazards and obstacles, throughout the challenging courses. Sky Group Business Development Director, Emma Lloyd, said that her company was "thrilled to be partnering with DRL to help develop this exciting new sport". Furthermore she was pleased to "bring something completely different" to viewers across both TV and digital. The DRL is hoping the deal means "tens of millions of viewers," will help build this futuristic, high-speed racing sport globally.